10 Tokoroa Apartments is a great first floor apartment in a development of similar properties, just a short stroll away from Bordeaux. This well presented one bedroom apartment offers lovely views and would be ideal for first time buyers or an investment opportunity. 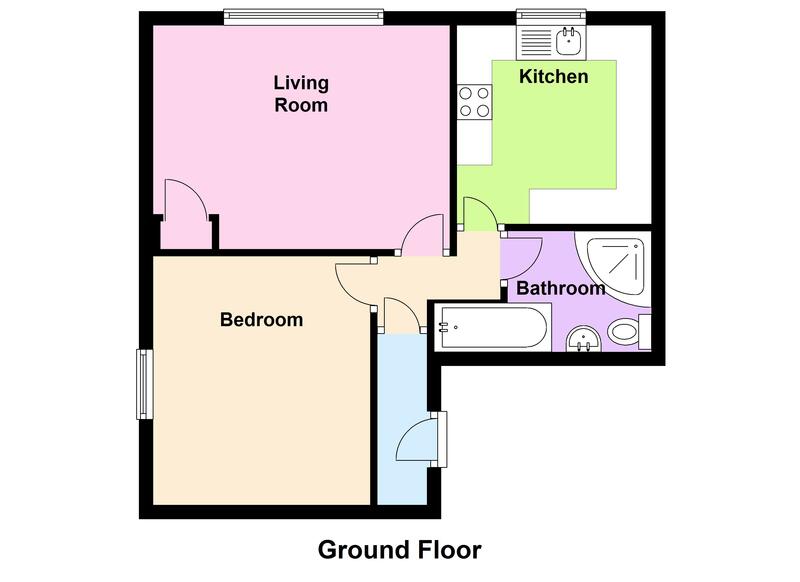 Accommodation comprises entrance hall, lounge/diner, kitchen, bedroom and family bathroom. Externally there is communal gardens and parking for one car. This property has been upgraded throughout including new carpets, a new shower room and new kitchen flooring making this a modern, idyllic apartment. Call Cranfords today on 243878 to book your viewing. 11'8'' x 10'2''. Built in bedroom furniture. 13'11'' x 10'7''. Storage cupboard. 9'6'' x 9'2''. Appliances include Philips integrated oven, Whirlpool gas hob with extractor over, Sharp integrated convection microwave and grill and integrated fridge and freezer. There are lawned communal gardens and allocated parking for one car. There is a communal laundry room which is included within the £130 per month service charge. £130 per month service charge which includes water rates and building insurance.